When it comes to securing data in the Cloud, enterprises, including small and medium businesses (SMBs), have to learn that security is not an isolated offering but an inherent part of the end-to-end architecture as they begin to adopt the ecosystem, a top Microsoft executive has reiterated. It is often said that there are only two types of companies – ones who know they have been hacked and the ones who don’t know that they have been hacked. “All of us have some level of exposure to malware and it is unintentional. The only strategy you need is to make sure that you are good at continuously identifying quickly and taking action against cyber threats that you may have inside your ecosystem,” Microsoft India President Anant Maheshwari told IANS in an interview. “That is the perspective that companies around the world have – that I would rather be with someone whom I know and trust and, therefore, decide to move operations to the Cloud,” Maheshwari added. Three to five years ago, people with smartphones never thought about backing up their data on the Cloud; but today, phone users cannot really operate without Cloud back-ups. “Privacy is very important as companies move data to the Cloud. They have realised that just buying cyber security locks is not going to help. 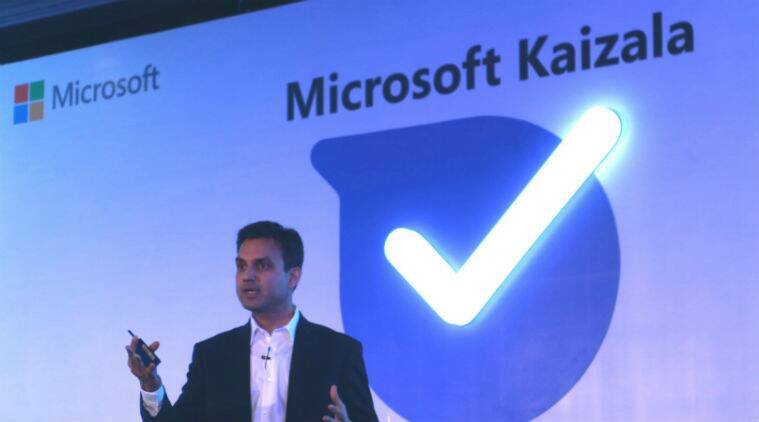 With a Cloud offering like Microsoft Azure that has an end-to-end infrastructure, Microsoft is thinking about security and data privacy differently,” Maheshwari emphasised. Microsoft spends over $1 billion every year on cyber safety and security-related research and development. For the company, security is important at three key levels: Platform, intelligence and partners. “Rather than solving each problem themselves, the enterprises today are working towards ‘let me get the full fabric and I am getting the assurance along with that fabric’. So security becomes an inherent offering of the end-to-end fabric, not a separate offering that you add on,” Maheshwari noted. Of the top 100 BSE-listed companies, 53 are on Microsoft Cloud. Software major Wipro recently announced that its Big Data Analytics-as-a-Service solution on Microsoft Azure Data Discovery Platform is now available for industries. Microsoft has also set up three data centres in the country to offer a secure Cloud ecosystem. Maheshwari was positive on the renewed focus from the central and state governments on adopting Cloud-based solutions. “As part of the broader Digital India initiative that includes Aadhaar and GST integration, we have to create large-scale customised solutions. This is where we have brought in Microsoft Enterprise Solutions to start doing the architecture in a secured way,” the Microsoft executive told IANS.